Dhevin is using Smore newsletters to spread the word online. 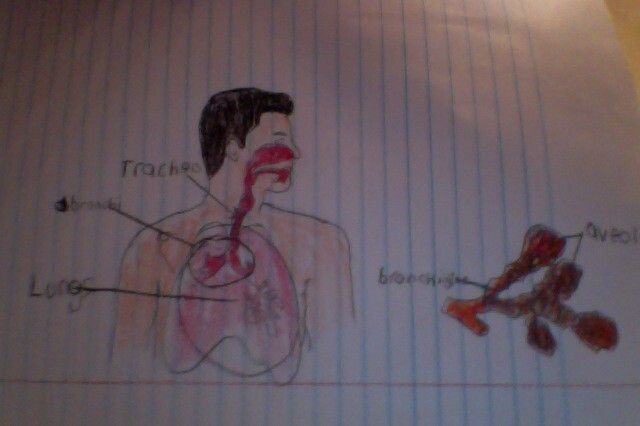 The Respiratory System provides oxygen needed for cellular respiration and removes carbon dioxide from the body. What are Alveoli and what are their purpose? Oxygen enters the blood from the lungs and carbon dioxide is expelled out of the blood into the lungs. The blood serves to transport both gases. Oxygen is carried to the cells. Carbon dioxide is carried away from the cells. Bronchitis: Is a respiratory disease in which the mucus membrane in the lungs' bronchial passages becomes inflamed. / the irritated membrane swells and grows thicker, it narrows or shuts off the tiny airways in the lungs, resulting in coughing spells that may be accompanied by phlegm and breathlessness. / Prevention is not to smoke / can usually be treated by itself.